Washington, July 18 (IANS) The US government on Tuesday slapped sanctions on 18 Iranian entities and individuals linked to Iran’s ballistic missile programme and other non-nuclear activities. According to a statement by the US Treasury Department, 16 Iranian entities and individuals, including ones engaged in activities in support of Iran’s military or the country’s Islamic Revolutionary Guard Corps, were designated for “engaging in support of illicit Iranian actors or transnational criminal activity”, Xinhua news agency reported. According to the Treasury Department statement, two other Iranian organisations involved in Iran’s ballistic missile programme were also targeted. The new round of sanctions came hours after US President Donald Trump’s administration declared for a second time that Iran was complying with a 2015 nuclear deal but also called Iran “one of the most dangerous threats to US interests and to regional stability”. 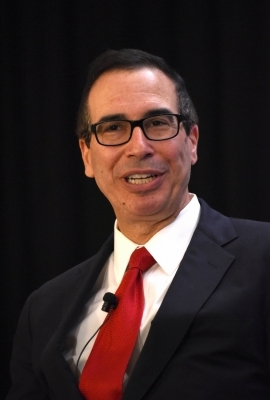 “This administration will continue to aggressively target Iran’s malign activities, including their ongoing state support of terrorism, ballistic missile programme and human rights abuses,” the statement quoted Treasury Secretary Steven Mnuchin as saying. Meanwhile, Iranian Foreign Minister Mohammad Javad Zarif said that Iran received “contradictory signals” from the Trump administration and confirmed he has had no contact with his American counterpart Rex Tillerson, CNN reported. Zarif argued the US’s failure to build on the foundation of trust created by the Iran nuclear deal suggested “the US hostility to Iran will not end”.